With more than 40 years of experience in manufacturing top end high fidelity speakers, Focal is now presenting an all in one solution – The Dimension sound bar. The Dimension sound bar is a reflection of Focal’s signature sound distilled into one simple set up. Placing audio quality as priority, the Sound bar delivers one of the best aural experience for the listener. 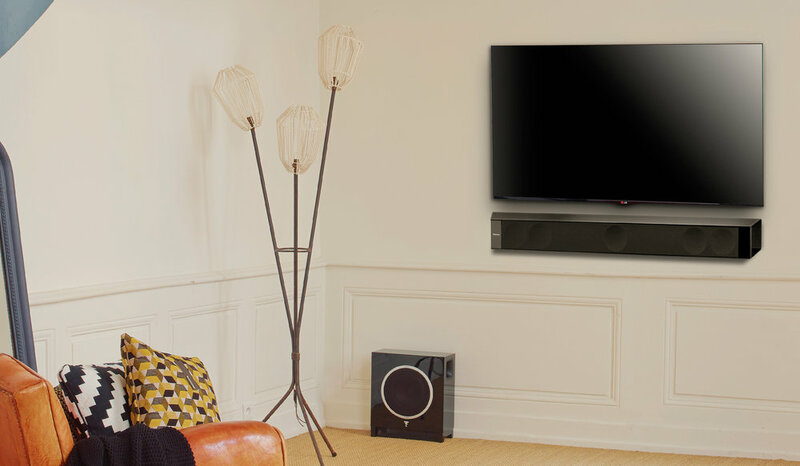 Space-saver option for the minimalists, Focal Dimension sound bar offers 5.1ch immersive surround sound experience, equipped with their signature driver technology to optimize sound quality, delivering realistic sound effects from a sleek and chic sound bar. Traditional soundbar uses side walls to create a surround effect, therefore largely dependent on room acoustics for optimum sound. This results in compromised sound. Dimension Soundbar uses phase and delayed sound to stimulate surround sound. This depends little on room acoustics and layout, creating realistic and precise sound effects, filling up to 50m² of space. Every purchase of Dimension soundbar comes with a FREE FOCAL Universal Wireless Receiver (worth $199) which enables wireless connection of all your Bluetooth-compatible devices to your amplifier or multimedia system. More freedom for your mobile devices without impairing audio reproduction quality. The apt-X codec achieves a near-CD quality listening. "It’s fun to listen to and never distracting, which can’t be said for most soundbars out there." "It does a wonderful job of delivering high-fidelity sound in smaller spaces where multiple speakers simply aren’t an option." "The Dimension is the most refined sounding 'bar I've heard."